The company has its beginning already in 1994. At present we have 52 employees in three-shift-runs. Our specialization is the realization of cooperation according to customer's documentation. We mostly produce in middle and short-series. Our company is equipped with up-to-date CNC lathes, which are able to mill, drill and also make threads. Our customers are mainly from the Czech Republic, Germany and Austria. We can manage export and surface treatment for our products. 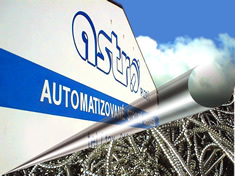 Our company produces precise engineering components. These parts are mostly for the automotive industry. With our machinery we can offer turning, drilling, threading and also simple milling operations. The volume of production depends on the complexity of the part. Quantity is mainly between 500 pcs and 10 000 pcs. We are able to produce both single-part production and production in large series. We use predominately automat steel, welding steel, stainless steel, aluminium and brass. CNC lathes with two control axes. The machines are equipped with the advanced 64-bit CNC control system MAZATROL PC Fusion CNC 640T. Vertical palette machining center with moving support. Very quick and precise machine for productive machining of small accurate parts. 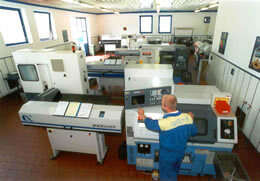 Four-axes CNC lathes which are able to machine parts from both sides. These machines can mill, drill and also make threads using rotation tools. Lathe automat with the CNC control system. Quick as the camless automatic lathe MAS and flexible as the CNC machine.